DOD may have spent up to $28 million more than needed to procure camouflage uniforms that may be inappropriate for the Afghan environment. Changing the ANA uniform could save U.S. taxpayers between $68.61 million and $72.21 million over the next 10 years. The Combined Security Transition Command-Afghanistan (CSTC-A) is the U.S. Department of Defense (DOD) organization responsible for overseeing efforts to train and equip the Afghan forces. As part of that effort, CSTC-A oversaw the design of a new uniform for the conventional ANA forces and the selection of the proprietary camouflage pattern used. 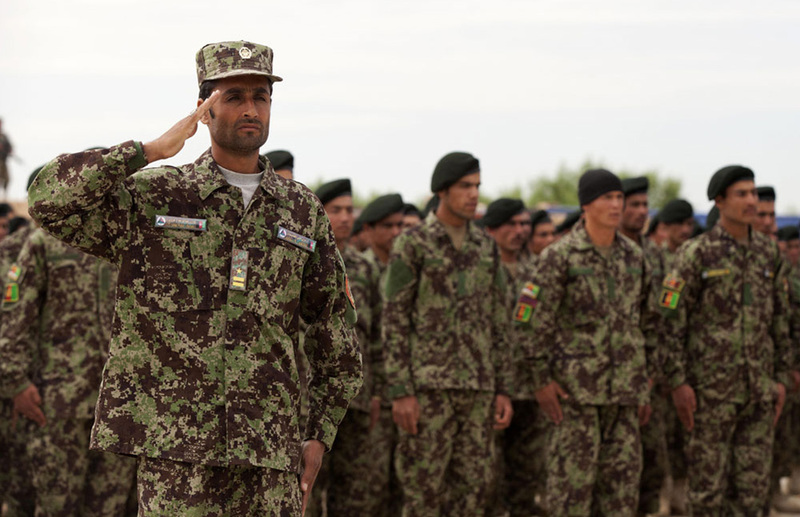 Though the pattern was selected without determining whether it was appropriate to or effective in the Afghan environment, DOD has spent approximately $93.81 million procuring uniforms for the ANA’s conventional forces. Proprietary uniforms are made using camouflage patterns that are owned by another entity and may not be used, by DOD or anyone else, without the permission of the owner and, in many cases, permission from the owner to use the pattern is not granted until a fee is paid. 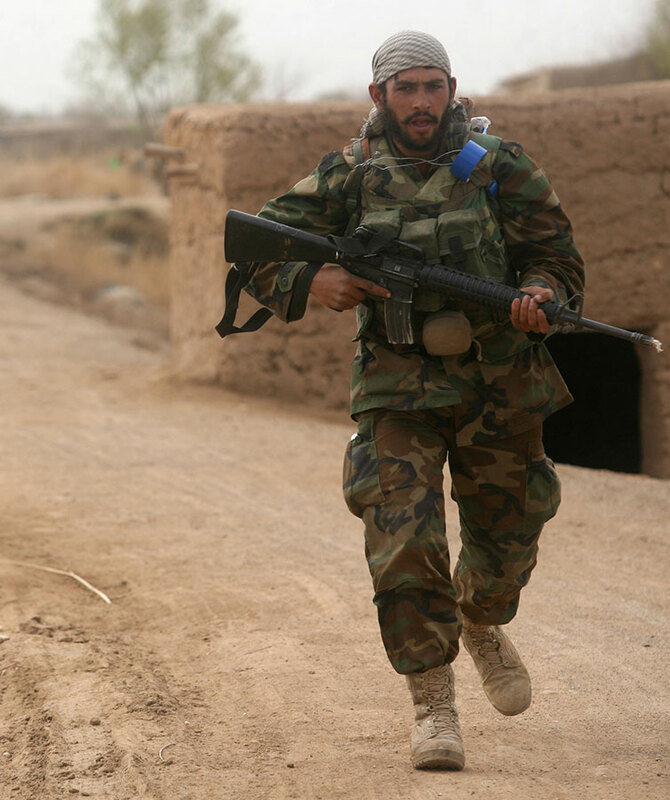 Using a proprietary camouflage pattern and a different uniform style resulted in significantly higher costs—up to 43 percent higher—than other uniforms that DOD procured for ANA Commandos and several Afghan National Police (ANP) units. Since 2008, the selection of a proprietary camouflage pattern and different uniform type has potentially added between $26.65 million - $28.23 million to the cost of DOD-funded ANA uniform procurement. SIGAR estimates that changing the ANA uniform could save U.S. taxpayers between $68.61 million - $72.21 million over the next 10 years. Note: CSTC-A did not exist prior to 2006. Organizational Clothing and Individual Equipment (OCIE) was ordered by other DOD organizations in earlier years. See related SIGAR audit: "Afghan National Defense and Security Forces : DOD Needs to Improve Management and Oversight of Uniforms and Equipment"
Pseudo Foreign Military Sales (FMS) - Used to purchase new supplies from DOD vendors and transfer excess U.S. military items to foreign customers. Local Acquisitions - Used to purchase uniforms from Afghan vendors via CSTC-A awarded contracts. Direct Assistance - Used to provide U.S. funds to the Afghan Ministry of Defense (MOD) and Ministry of Interior (MOI) as direct assistance to enable the procurement of uniforms through Afghan government contracts. By 2007, CSTC-A and the Afghan government had standardized an ANA uniform nearly identical to the U.S. Army’s Woodland Battle Dress Uniform (BDU). But according to CSTC-A, the prevalence of these Woodland BDUs allowed enemy forces to copy or obtain excess quantities of the uniform. In early 2007, the Afghan Ministry of Defense determined it required a new, distinctive uniform for Afghanistan’s conventional forces. The new uniform took significant design cues from the U.S. Army Combat Uniform—including zippers instead of buttons for the blouses; use of hook and loop fasteners; and more pockets. These features resulted in a uniform that was more difficult and costly to produce than the Battle Dress Uniforms, which are still used by ANA Commandos, Special Forces, and several ANP units. Below depictions of uniforms used by ANA conventional forces (left) and commandos (right) reveal their relative likeness, despite the added cost and difficulty of producing those used by conventional forces. It is best to tailor the spatial characteristics and color palette of a camouflage pattern to the specific environment and tactical position where those using the camouflage would be inclined to hide. Dr. Timothy O’Neill, founder of West Point’s Engineering Psychology program and creator of the camouflage pattern which served as the basis for the Army Combat Uniform. DOD officials stated that they “ran across [HyperStealth’s] web site and the Minister [then Minister of Defense Wardak] liked what he saw. 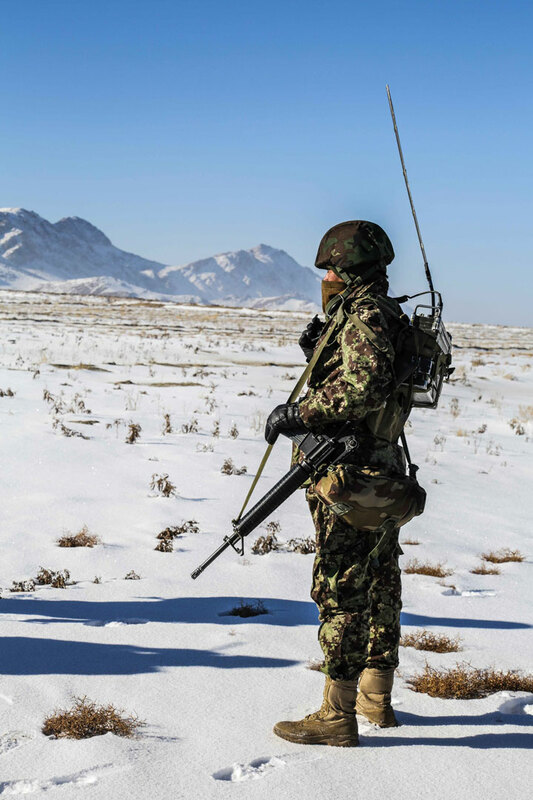 He [the Minister] liked the woodland, urban, and temperate patterns.” By May 2007, the Afghan MOD in coordination with CSTC-A had selected HyperStealth’s Spec4ce Forest camouflage pattern for ANA conventional force uniforms moving forward. Forests cover 2.1 percent of Afghanistan’s total land area. The World Bank, “Forest Area (% of Land Area)” (accessed March 2, 2017). DOD’s decision to procure ANA uniforms using a proprietary camouflage pattern was not based on an evaluation of its appropriateness for the Afghan environment. The U.S. government already had rights to multiple uniform patterns that were not in use by U.S. forces, which could have been used by the ANA at no cost, and may have been equally effective in the Afghan environment. When CSTC-A officials recommended that the command pursue a sole-source award to HyperStealth, the DOD contracting office stated that it believed, because there were so many available camouflage patterns in the world, a sole-source award would be hard to justify. Instead, DOD issued a local acquisition solicitation in June 2008 that included the requirement that the uniforms use the Spec4ce Forest camouflage pattern. This meant that any vendor awarded the contract would effectively be required to purchase pre-patterned material, or obtain the rights to use the proprietary pattern from HyperStealth or an authorized licensee. Federal Acquisition Regulation Section 11.105. DOD was unable to provide documentation demonstrating that the Spec4ce Forest specification was essential to the U.S. government’s requirement, or documentation justifying and approving the Spec4ce Forest requirement in the ANA uniform specification. 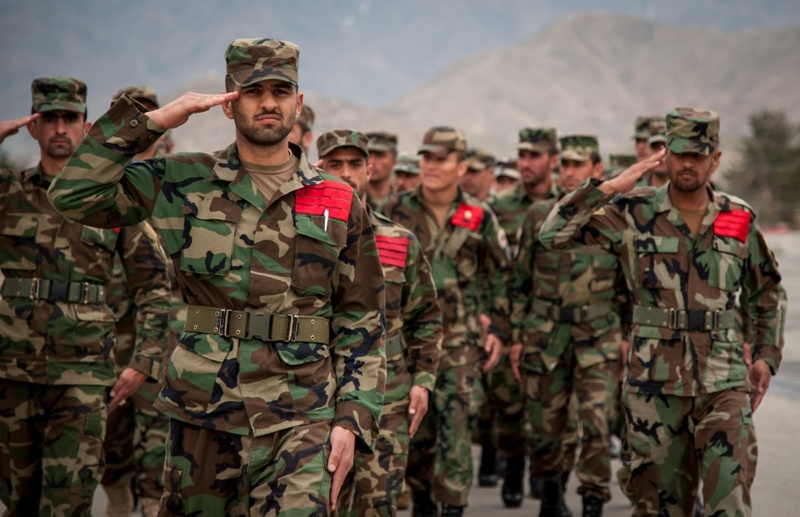 As a result, neither DOD nor the Afghan government could demonstrate the appropriateness of the ANA uniform for the Afghan environment, or show that the new camouflage pattern did not hinder ANA operations by providing a more clearly visible target to the enemy. Between November 2008 and January 2017, DOD spent approximately $93.81 million to procure 1,364,602 uniforms and 88,010 extra pairs of pants for the ANA made using a proprietary pattern. Using a proprietary camouflage pattern and a different uniform style for conventional ANA forces cost significantly more than CSTC-A initially estimated. Afghan National Police (ANP) uniforms were manufactured at a cost of $18 (summer) and $25 (winter) per set in 2007. CSTC-A anticipated the ANA’s new uniform using a unique pattern and different style would cost slightly more than ANP uniforms, and in mid-2007 estimated a cost of $25 per set for the summer-weight and $30 per set for winter-weight uniforms. These estimates were significantly lower than the actual cost per ANA uniform, which ranged from $45.42 - $80.39 per set. 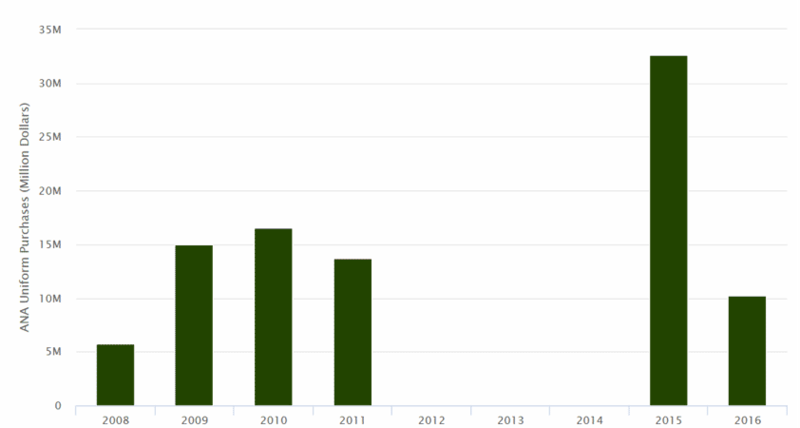 Average unit price paid for uniforms by Afghan National Defense and Security Forces (ANDSF) component. The comparison reflects the premium paid for ANA uniforms per unit as a percentage of uniform unit price for ANP components. The uniform for conventional ANA forces—using a proprietary camouflage pattern and the Army Combat Uniform style–has potentially cost the U.S. taxpayers an additional $26.65 million - $28.23 million since 2008. Given our historical and pledged commitments to the ANA, SIGAR estimates that changing the ANA uniform could save U.S. taxpayers between $68.61 million - $72.21 million over the next 10 years. As a result, we suggest that a DOD organization with appropriate expertise in military uniforms conduct a cost-benefit analysis of the current ANA uniform specification to determine whether there is a more effective alternative, considering both operational environment and cost, available to the ANA.